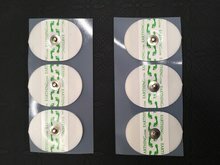 Earthing patches and Earthing bands to directly start earthing on a sensitive or sore spot. The patches have the advantage of that they can be stuck anywhere on the body. 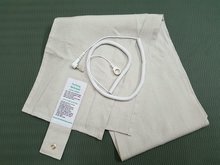 The Earthing band is intended for the wrist or ankle, but has the advantage that it does not have to be pasted on the body. 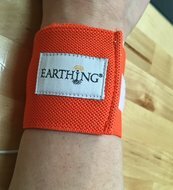 Several studies have shown that earthing can very effectively relive chronic inflammation and pain. Earthing has a healing effect, no matter where your body is earthing, but relieving chronic inflammation and pain is faster if you are earthing in the area of the inflammation or pain. 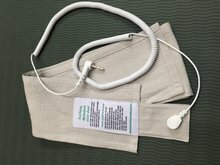 The Earthing patches are ideally suited for this purpose. See the clip where the Earthing patches and recovery bags are used for the recovery of American cyclists in the Tour de France here. 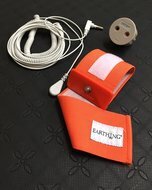 Earthing wrapping band 150x10 cm ..
Earthing wrapping band 125x20 cm ..
Earthing wristband with coil cord..
Earthing wristband for wrist or a..